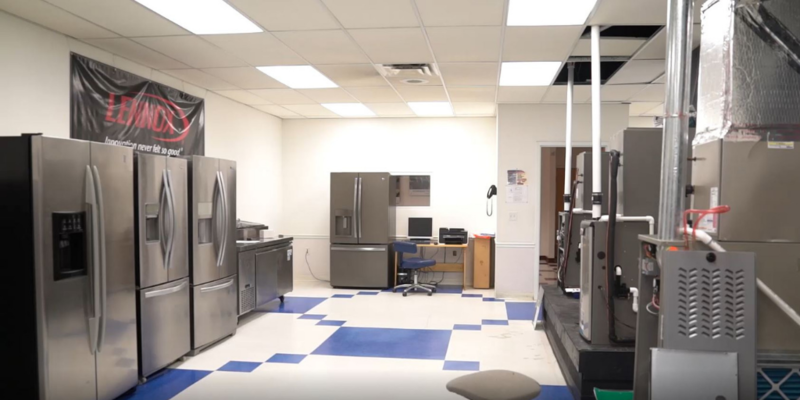 Explore our new Lennox Sponsored HVAC-R lab with a tour by HVAC Instructor, Don McGary! Penn Commercial Business/Technical School has nearly 90 years of experience preparing students in Washington County for meaningful skilled trade careers. Students in the HVAC-R Training program benefit from a thorough, hands-on learning experience in which they are able to train using the kind of technology, tools and resources they are likely to find when they are employed in the field. Visit us at https://penncommercial.edu to learn more.